New columnist Annette Doerr describes how she survived her first ladies-only shooting clinic, an NRA Women On Target Instructional Shooting Clinic, and managed to hit all the goals and have fun, too. Have you been considering hosting an NRA Women on Target Instructional Shooting Clinic at your range? If you are interested in getting more women involved in the shooting sports, read on, and consider hosting your own clinic sometime soon. I recently held my first, a pistol clinic. What a fun and rewarding experience it was for everyone involved. The NRA website is a great resource for information in general. This also holds true when it comes to hosting Women on Target instruction. Clinic choices include rifle, pistol, shotgun or any combination of the 3, depending on what your range can handle and the experience of your volunteers. The clinic itself is very basic, with an emphasis on safety. Each one starts off with a classroom/educational portion covering firearm safety, proper firearm storage, and much more essential information. The second half of the clinic consists of one-on-one live-fire exercises with an instructor. Annette Doerr at the helm! 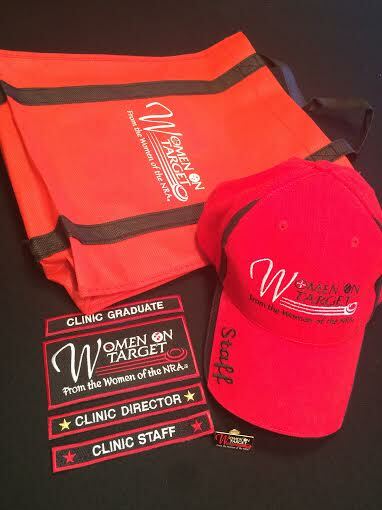 Check out the NRA Women on Target Instructional Shooting Clinic website. Choose a date that works for you, your range, and your volunteers. Keep in mind you will need a 1:1 student-to-instructor ratio for the live-fire portion of the class. 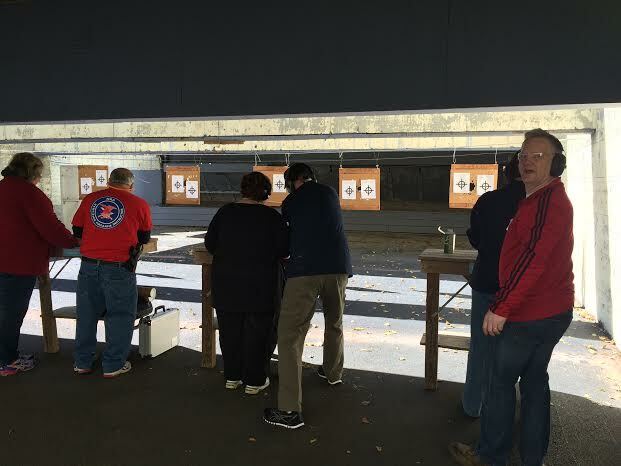 The more volunteer instructors you have, the less downtime for the participants between shooting stages. Register your clinic with the NRA via the website. You must do this at least 45 days prior to your clinic date. This allows the NRA to post your information on the website and gather and mail you the program material and souvenir bags. Start enrolling your students. If you keep up with the paperwork and stay organized, it will make your life so much easier on the day of the clinic. Keep a waiting list if necessary. As the date gets closer, communicate with your students and volunteers to make sure everyone knows what is expected of them and that they are still available. You don’t want to find out on the day of the clinic that 2 of your instructors can’t make it. The NRA provides all of the forms you’ll need, from registration to a photo-release form, so carefully read their e-mails and familiarize yourself with the forms as soon as you receive them. Use what they send you; there’s no need to reinvent the wheel. 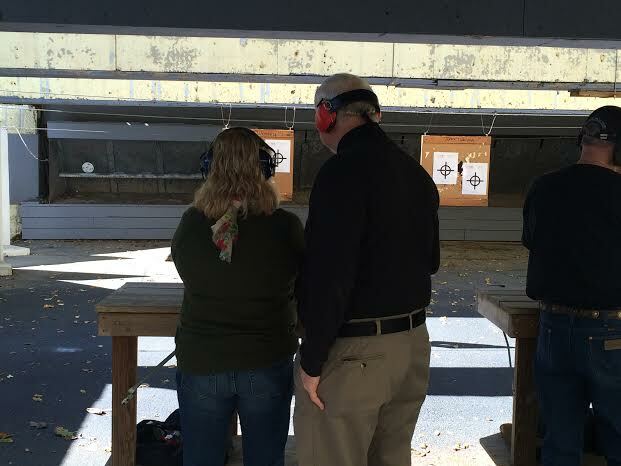 I learned a lot from teaching my first Women on Target Instructional Shooting Clinic. Some things I will do again; some I will not! Keep it small. I limited the number of students for my first clinic to 10, which is a very manageable number since my range is small. With 5 instructors to help with the live-fire portion, this meant there were 2 rounds of shooters for each stage. I acted as the Range Safety Officer on the line; this worked well. I may increase participants to 15 for my second clinic, but I won’t go any larger than that for now. Having ladies sit and wait for too long just isn’t fun for anyone; I would rather hold 2 separate clinic dates than try to manage a larger group. Maintain communication with your students and volunteers, both before and after your clinic. You want them to be excited about the clinic! Encourage the ladies to get to know each other. At the start of the clinic, I had my students introduce themselves and give a little background about their shooting experience. A chatty group means they are having fun and sharing information. My ladies talked to each other; this helped pass the time as they waited to shoot between stages. Know your volunteers! Look for personable instructors who aren’t full of themselves. This is supposed to be a fun day for the ladies. You want to encourage them, not scare them! Enthusiasm is contagious. If you are upbeat, professional, happy and excited about the clinic, your students and volunteers will be, too. Have some fun with it! My stress level! I felt very nervous going into my first clinic. Naturally I wanted my clinic to go perfectly. Did it? No. Did that matter? Absolutely not. The goal of the clinic is to be fun, safe and informative. I achieved that goal and then some. Write a plan and follow it. You will do GREAT! I’ll also keep a tighter rein on the live-fire time. My volunteers are the best guys in the world. I truly believe they had just as much fun as the ladies, if not more. As you can understand, the clinic demands a tight timeframe to work with and a lot of information to disseminate. The instructors knew beforehand how many rounds the students should load and fire at a time: 10. Somehow, the overachievers would have let the ladies shoot until dark, every single time. I had to stop them and remind them of the 10-round exercise rule, where we focused on safety and basics. We aimed to achieve our goal of hitting the targets with good groups, not becoming sniper qualified. In the future, I’ll work at reining them in sooner. (Trust me: This is a good problem to have!) Make sure to leave time at the end of the clinic for the ladies to keep shooting if they so desire—because they will! I am in the planning stages for my 2nd clinic, which will be held in June. Will I stress about it again? Of course! Will I fumble on my presentation? Most likely! 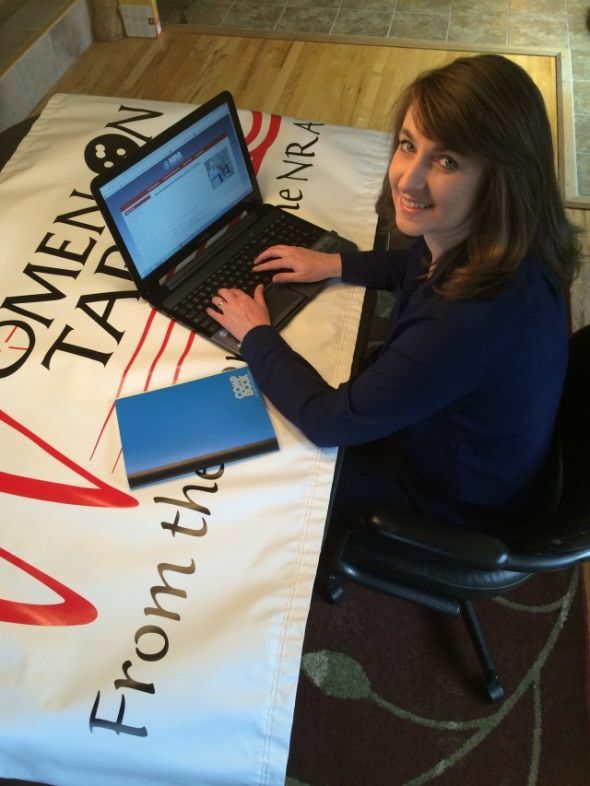 Will the women who attend get a great education on firearm safety and will they learn to shoot in a fun, safe manner? ABSOLUTELY! And that, my friends, is what Women on Target Instructional Shooting Clinics are all about!